Kesteven RiDeAbility needs sponsors for our ponies so they can continue to do a fantastic job of teaching children and adults with disabilities to ride. Last year our ponies provided 450 rides to children and adults in the Kesteven area. Your sponsorship will help cover their running costs such as shoeing, vets bills and accommodation. E-Newsletters from Kesteven RDA keepng you up to date with our latest events and happenings. An invitation to visit our group whenever you can. A link from our website. A promotional mention in all our correspondence, Facebook, Twitter and editorial material etc. For more information about how to get involved please contact: ponyangels@kestevenrda.co.uk or Karen Thompson on 07732 418848. 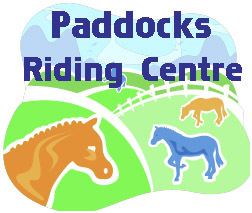 Alternatively, download a sponsors form to complete and return the form below via email or by post to: Kesteven Rideability, The Paddocks Riding Centre, Frieston Road, Hough on the Hill, Lincs. NG32 2BE.